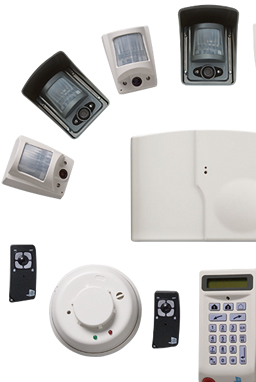 Wireless Video Security where and when you need it. Repair costs and loss of service are much more expensive than the actual cost of copper and stolen materials. No onsite power required, battery powered & supplied by 247 Security! Video security over the mobile/GSM network. Instant protection for remote assets.Operates for 2 years on one set of batteries. No telephone line required, sim card provided by 247 Security. When an intruder is detected, the integrated night vision camera captures a 10 second video of what caused the alarm and sends this over the GSM mobile network to a 24 hours 7 days a week monitoring station. Each system can have up to 24 cameras. The entire system will operate up to 2 years on one set of batteries. The alarm system that follows you everywhere! The system is pre-programmed and can be immediately installed and used. Completely wireless operation and no onsite power is required which means that it can be installed anywhere in minutes and moved easily from one location to another.